Other leave no longer exists, now instead is the new and improved Other Events. Other events offers a multitude of new features, allowing more flexibility and detail to be added. Other events covers any instances that can be recorded on the employee planner, these may be a multitude of reasons for example, territorial army, compassionate leave or jury service. 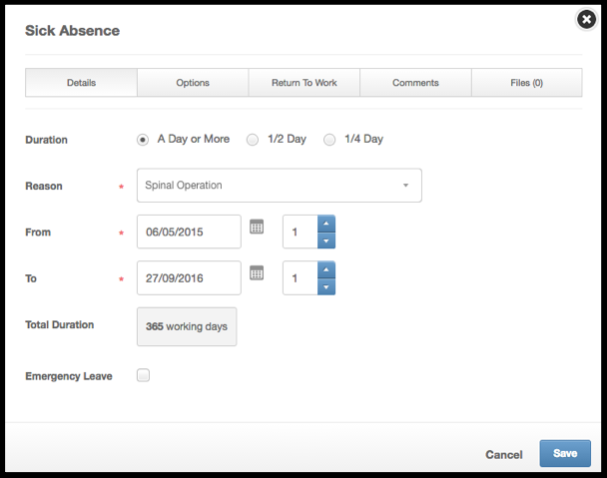 Employees can request leave for other events and now specify with reasons, corresponding icons and any comments and files they wish to add to the instance to thoroughly inform the manager for authorisation. The three mandatory fields must be filled out to add this event. Simply state the duration with the From* and To* date fields. The duration can be measured in days or hours. 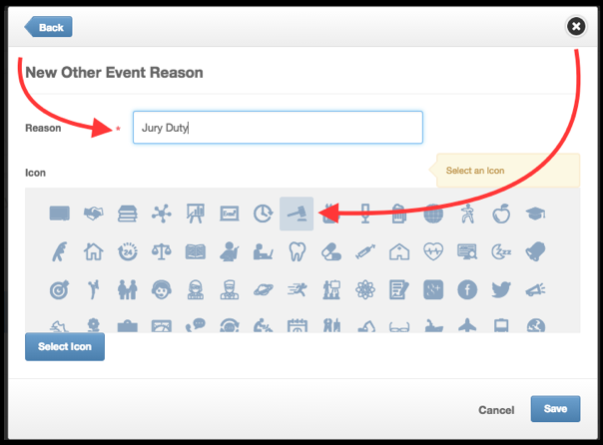 Newly featured now with Other Events is a more expansive addition to the Reason Field. 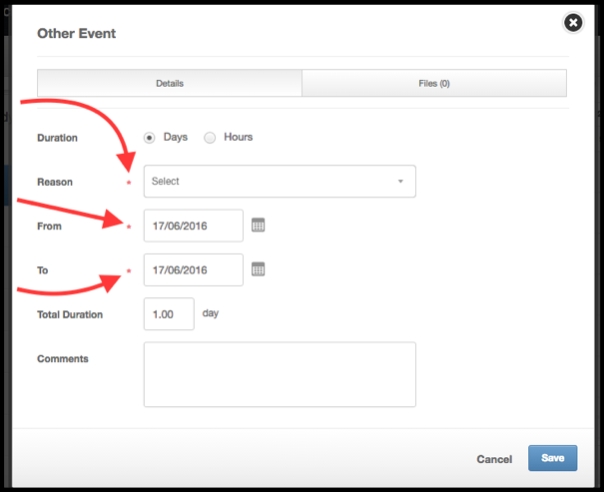 As the administrator, when managing or adding new reasons for Other Events, corresponding icons can be added to display on the planner to inform further visually. The Icon then indicates and specifies the type of leave without having to click in to view the reason. 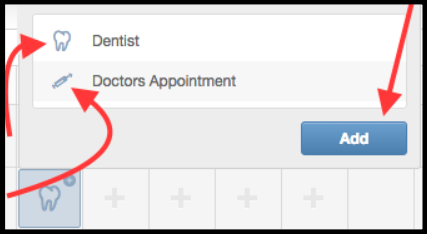 Multiple Other Events can be added to one day now too, for example an employee may have a dentist appointment in the morning and the same afternoon have a doctors consultation. To view a day with multiple events simply click on it and to add more click the add button. Previously admins when logged in would only exist in the Me Tab and not in the list of employees. Now they do, making it simpler when logged in as an admin to see existence of your employee record along with all others. 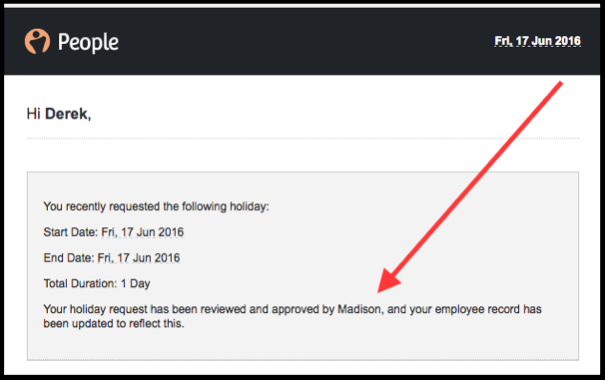 Now any additional reports to receive an email alert when another manager authorises a leave request, therefore making clear exactly when authorisations occur and who the approver was. This works both ways, regardless of who the primary approver is – whoever approves the holiday first, the other manager will get an alert. People HR now offers the choice to hide the display of the Bradford factor scoring chart for all employees, now as well as disabling alerts it will not appear when switched off. This means no confusion for companies that do not use or incorporate the Bradford factor absence scoring system. If Bradford Factor display is turned off you cannot receive alerts. 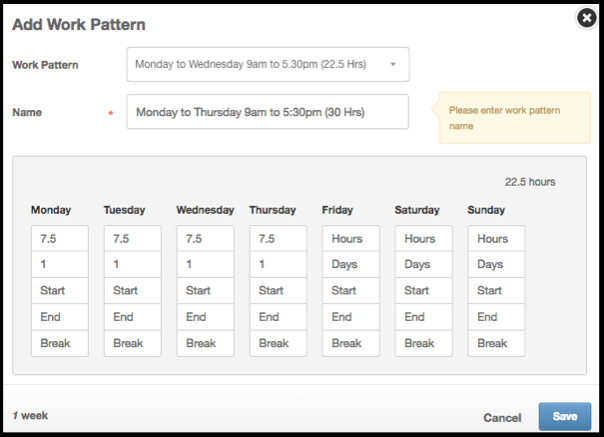 The employee planner will no longer show any relevance to the Bradford factor, only holiday and absence information along with the sick days heat map. 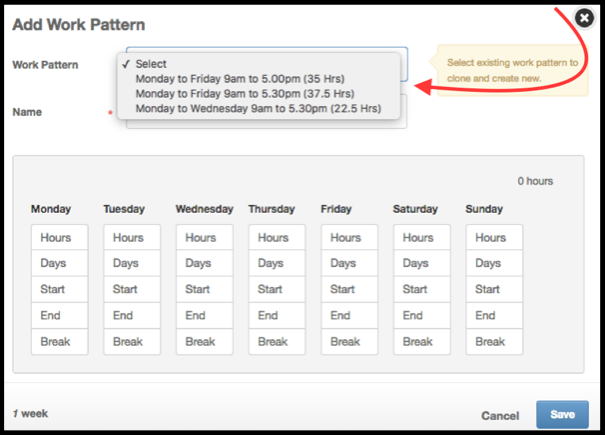 You can now copy details from an existing work pattern when creating a new, making it swifter and easier to create multiple similar work patters with slight variations and eliminates the arduous process of creating each from scratch. Once the bulk of the details are copied in, simply tailor the new work pattern with the appropriate adjustments, name it and save it. 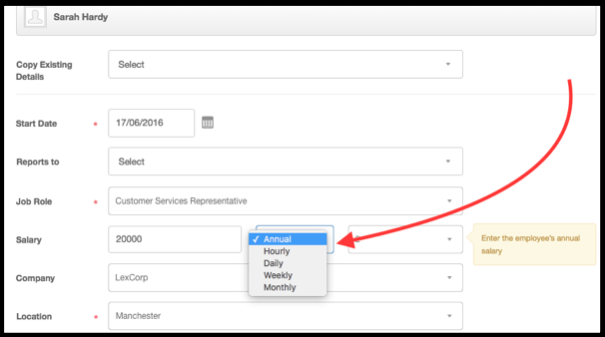 Now when adding a new employee the feature is present to set salary payment frequency right from the new starter wizard. Now saving having to revisit the employee record once setup, all payment frequencies can now be in place along with the rest of the essential job details. Our previous sickness limit of 68 days has now been extended to cater for extreme sickness instances/ circumstances. Now to better cater for fringe situations, sickness can now be added in the system up to 365 working days. 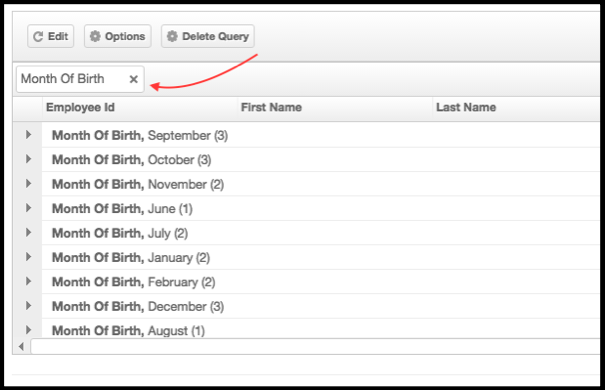 You can now copy existing queries, for example if you require two or more queries that are similar. This is done by pressing the Save As button and giving the new query a name and description, both the new query and old query will be saved. 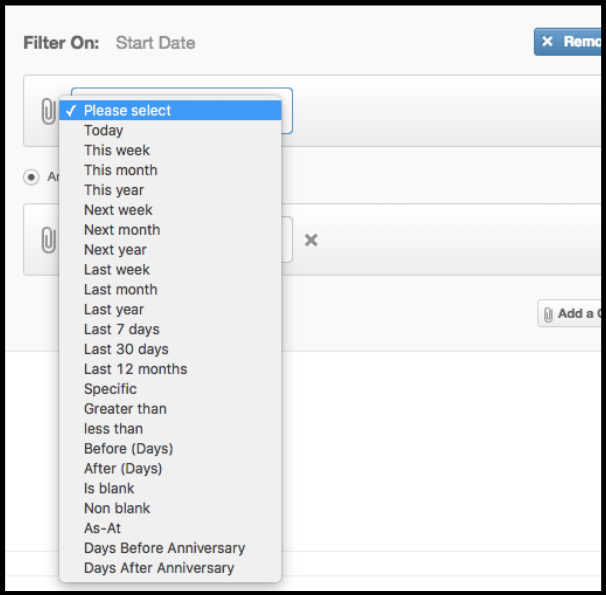 We also have new filters 'Days before Anniversary' and 'Days after Anniversary' so you can find the employees who have a relevant anniversary coming up. 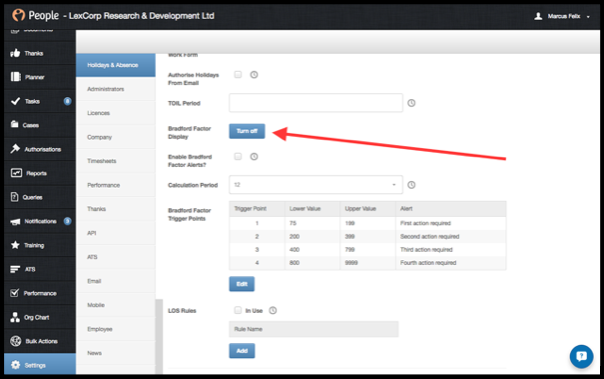 We have also added the ability to report on the Login History for employees. This allows you to see the Date, Time and the IP address for logins. 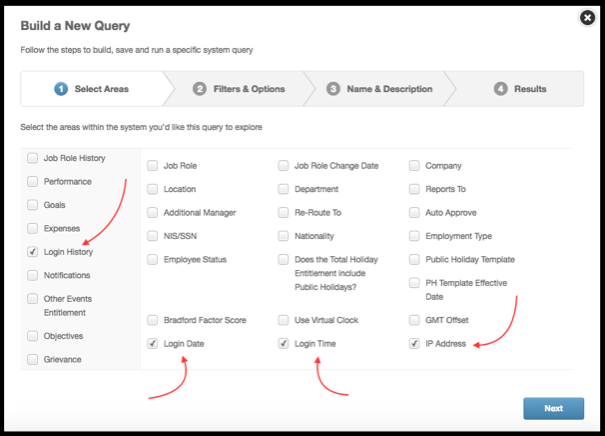 One thing that you can do with the new update to Queries is group your results by a relevant column, for example if you want to group everyone by Month of Birth then you can and the Query will the show the number of employees per month, which can break down and show you details of that group. To do this simply drag the title of the column into indicated area and this will group it accordingly.